Discover Colony Cove Homes for sale in Indian Wells, CA! Often referred to as the “Hidden Jewel” of Indian Wells, Colony Cove is an intimate, gated-enclave of 97 gorgeous, single-family homes tucked away in a prime location – just off of Cook Street and Fred Waring Drive. This attractive community features impeccable landscaping, and because there is no community pool or golf course to maintain, HOA dues are extremely LOW. The surrounding area includes some of the finest spas in the region, such as Miramonte Resort & Spa, and just minutes away along the 111 Corridor, a vast array of stores, restaurants, and local eateries can be found. Built between 1999-2001, each of the quality-built stucco homes in the charming community of Colony Cove feature three to four bedrooms and floor plans ranging in size from 2,000 to 2,750 square feet. Several of the homes come with private swimming pools and lots average between 9,000 to 10,000 square feet. Colony Cove homes for sale in Indian Wells are priced from the $300,000s to the $600,000s. The community’s exceptionally low HOA dues are approximately $90/month (subject to change). 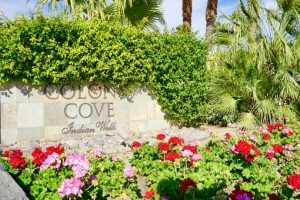 Centrally located in the resort town of Indian Wells, Colony Cove offers the finest in luxury living surrounded by the upscale amenities and attractions of Indian Wells and Palm Desert. The community is in walking distance to top-notch restaurants and only a short drive to the upscale El Paseo shopping district. Homeowners enjoy the best resident benefits of any city in the Coachella Valley such as $50 for a round of golf at Indian Wells Golf Resort, 20% discounts on meals at all Indian Wells resorts, 20% discounts on spa services where offered at Indian Wells resorts, and free use of the fitness center at the Hyatt Regency Indian Wells Resort & Spa, and Tennis Garden discounts. 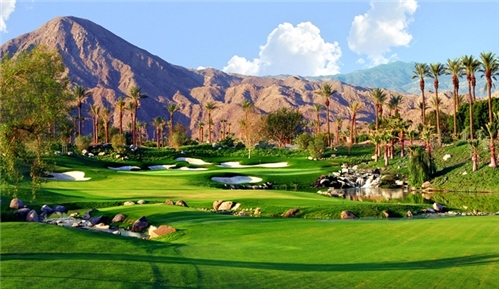 Colony Cove residents are just minutes from some of the best golf courses in the valley and can take advantage of discounted golf at Indian Wells Golf Resort. This 36-hole golf resort features a magnificent 53,000 square-foot clubhouse and two golf courses ranked in the Top 25 “Best Municipal Courses in the United States” by Golfweek Magazine. From the Indian Wells Tennis Garden (home of the BNP Paribas Open) to Spa Esmeralda to strolling the scenic neighborhood streets, Colony Cove residents have many options for enjoying an active, resort lifestyle. Interstate 10 is only a 10-minute drive north and Hwy 111 is about a 5-minute drive South of Colony Cove. The Palm Springs International Airport is about a 20-minute drive away. Indian Wells offers an unsurpassed quality of life for its residents. Located in the heart of Southern California’s desert resort communities, Indian Wells is well-known for its­ tranquil and luxurious resort environment. Situated between Palm Desert and La Quinta, Indian Wells is home to approximately 5,404 seasonal and full-time residents. The city has continued to grow with the development of upscale resort hotels, championship golf courses, and luxury residential areas. Homebuyers are continually drawn to the many outstanding amenities that Indian Wells offers including four world-class resorts, Indian Wells Golf Resort, Indian Wells Tennis Garden, a variety of cultural programs, impressive resident benefits, and much more. In addition to an exceptional year-round climate, the city boasts a variety of renowned special events, including the Indian Wells Art Festival, BNP Paribas Open, and the Desert Town Hall Lecture Series. A lot goes into buying or selling a home and Elaine understands that no one person, no matter how experienced or knowledgeable, can provide the best service without a team of specialists. Offering over 24 years of local real estate experience, Elaine provides the knowledge, commitment, expertise, and personalized service that her clients deserve. Whether you are looking to invest in one of the homes for sale in Colony Cove or thinking about selling your current home, experience matters most in a changing market. For sellers, your agent should know how to act swiftly and decisively to get you the highest price. Elaine will get your home SOLD and will get you the best market price in the least amount of time possible. For buyers, Elaine will help you find and get into the right home. She will be there to protect your interests, advocate for you, and will work hard to ensure a smooth and successful transaction. 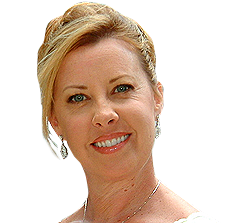 Elaine would love to speak with you to discuss the type of home and community you have in mind and to see if Colony Cove homes for sale in Indian Wells are the best fit for your lifestyle and individual needs.